Canadian new-vehicle sales fell for the eighth consecutive month in November, down 8.2 per cent when compared with the same month last year, according to the Automotive News Data Center in Detroit. Vehicle sales in November totalled 145,984 units while year-to-date sales stood at 1,886,901, down 1.7 per cent from last year. The Global Automakers of Canada, which represents 15 automakers based outside Canada and the United States, called the trend “worrisome” and predicted 2018 would mark the first annual sales decline in a decade. “Despite an increase in consumer confidence of over two points in November – according to TradingEconomics.com – that has not translated into higher vehicle sales,” David Adams, president of the Global Automakers of Canada, said. 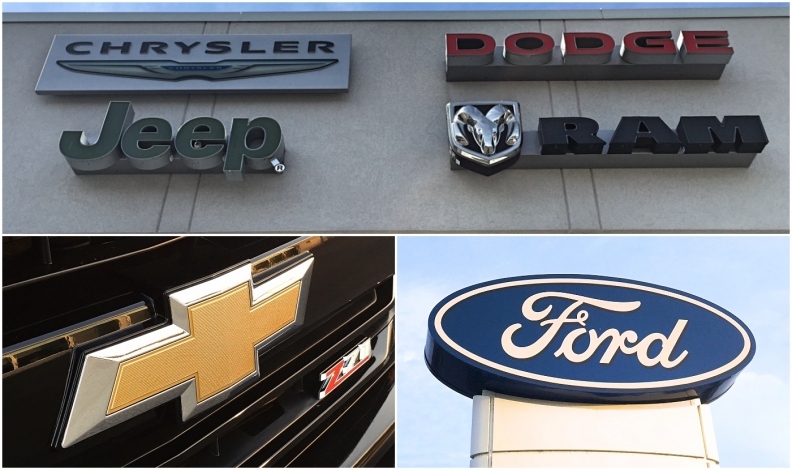 Each of the Detroit-based companies took double-digit sales losses – with FCA down 35 per cent. GM was down 18 per cent while Ford fell 11 per cent. Ford sold the most vehicles in November taking the sales crown from GM and with one month to go, Ford retains the overall sales lead on a year-to-date basis. Trucks comprised 73 per cent of the market in November compared to 72 per cent in 2017. FCA Canada saw its sales plummet 35 per cent to 12,406 vehicles in November as every brand took a double-digit hit. Dodge sales were down 58 per cent, Chrysler down 44 per cent, Jeep 31 per cent, Ram 20.2 per cent, Fiat down 45 per cent and Alfa Romeo down 14 per cent. Flagship vehicles for every brand took a beating. Jeep Wrangler sales were down 62 per cent to 679 units. Ram pickup sales dropped 20 per cent to 5,387 units. Dodge Caravan sales fell 64 per cent to 1,343 units. And Pacifica sales were off 43 per cent to 251 units. Ford Canada sales fell 11 per cent in last month, even though the popular Edge had its best November on record with 2,034, a 32-per-cent increase over the same month last year. Lincoln MKX/Nautilius sales were up 19 per cent to 369 units. The Nautilus name replaced MKX this year after the vehicle was redesigned. Ford’s car sales were down 42 per cent, while truck sales fell 7.7 per cent. Nissan Canada had its best November on record even as sales of its luxury Infiniti brand fell 7.4 per cent. The automaker sold 11,446 vehicles last month, up 0.5 per cent compared with November 2017. The Nissan division, alone, saw record monthly sales for November with 10,444 units sold, up 1.3 per cent year-over-year. The Nissan Qashqai compact crossover, full-size Titan truck, mid-size Frontier truck and all-electric Leaf all had record months. Toyota Canada reported another record sales month, with 18,731 units sold in November, up 10 per cent compared with 2017. The Toyota division saw sales of 16,787 vehicles, up 11 per cent compared with last year for the division’s best November yet. The luxury Lexus brand posted sales of 1,944 vehicles, up 1.7 per cent compared to last year for its best November yet. “We’re seeing record numbers of Canadians buying our cars, trucks and electrified vehicles,” said Larry Hutchinson, president and CEO, Toyota Canada Inc.
As Canadians turn to electrified vehicles, Toyota Canada also saw record hybrid-vehicle sales last month. The automaker reported record sales of 2,039 units sold, up 21 per cent compared with 2018. Hybrid sales represented 11 per cent of Toyota Canada’s total sales for the month. Hyundai and Kia brand sales headed in the opposite direction in November. Hyundai sales were up 10 per cent while Kia sales sank 17 per cent. The Elantra was Hyundai’s top-selling car with 2,872 units sold, while the Tuscon was the brand’s best-selling light truck with 2,350 sold. Kia sales were led by the Sorento (1,062 sold) and Sportage (1,018 sold) on the truck side, while the Forte (1,138 sold) led the brand’s car segment.